2017 brings a handful of pretty decent options for recording a conversation, many of them with tech that takes out the “distance” part of a distance recording so you get better quality audio every time. I wanted to make it obvious how good the options are as well as answer some of the questions I get on a regular basis about the best way to record an interview. So my client onboarding guy, Aaron and I took a morning to do some recordings of OUR conversations using all the options that I think are legitimate for 2017. So - How to record interviews: 2017 Demo of the Best Options is what you’ll hear on this episode of Podcastification. [1:44] My top 5 recommendations: Zoom - Ringr - Zencastr - Skype - Cleanfeed and our demos of each of these options, demo’d for you. [7:50] Zoom’s details, pricing, method of recording, number of participants, etc. [19:49] Zencastr’s chat feature, timeline footnotes, etc. This episode of podcast application has been in the works for a long time. Maybe we were putting it off because we knew how much work it would do. But it was worth it! My client onboarding guy, Aaron and I are going to demo all the options we think are worthwhile when it comes to recording in your interview conversation. We are 823 miles and 3 states apart as we speak to one another so you should keep that in mind when you consider the sound quality of each other recording platforms. We are both PC users, not Mac users, so the various features and platforms may look different on Mac then they do from what we describe in this episode. You're going to get to hear both sides of the calls on each platform. When I remember to do it, I will tell you what I see coming into the platform as a host, describe how easy or difficult it is to get into the platform and get a call set up, and then Aaron will describe what he experiences from the guest side of each of the platforms. And finally, we will outline the features and costs of each one of the platforms and give you our ranking of these five options for recording an interview at the end of our demonstrations. This is 36 minutes of audio that is well worth your time if you ever have been curious how to record an interview with the best quality possible. 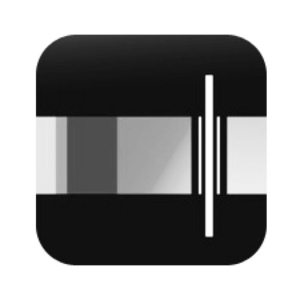 Zoom is a recording option that many podcasters are using these days, I know because I see files from Zoom coming in from our clients fairly often. As you listen to our demonstration of what it takes to set up a call on zoom and get it recorded, downloaded, and actually usable for your podcast, keep in mind that Zoom was not created for podcast recording in particular, it is a video conferencing software. That means it includes screenshare capabilities, video, chat features, and much more. Ringr is a top-of-the-line app brought to us by its founder, Tim Sinclair, who I have interviewed on this podcast before in episode 41. That particular episode was recorded back in June of 2016 and Ringr has come a long way since then. One thing I did not mention in my conversation with Aaron that you will hear on this episode is that Ringr is not only a web-based app, it also has a smartphone app that enables you to connect with people who are not at their computer at the time you need to do your recording. In a situation like that, you need to keep in mind that recording quality will depend on the quality of the microphone that is being used - either the internal microphone of the phone in question, or an external microphone that might be plugged into the phone. You can hear from the recording on this episode that recording interviews with Ringr gives you great quality and a good overall experience. One of the things you will hear me mention at least a couple of times on this podcast episode is that recording with Skype requires a third-party application of some kind. Skype itself does not offer call recording. In this demonstration, I used a pc-based application called MP3 Skype call recorder. The link for that free software is in the resources section below. I believe that one of the reasons Skype has become the go-to resource for people who want to record an interview is because it was one of the first internet-based call solutions any of us knew anything about. So, it's the same as if you had read the book and then gone to see the movie, and the book always seems better. It's simply because you read the book first. These days, Skype is still in the auction and it does a decent job, but it has its limitations and drawbacks when it comes to podcast recordings. I believe there are much better options for you to offer your listeners that don't cost any more than Skype - and that is free. Zencastr is one of the first browser-based recording options I became aware of when they first became a thing. It records each person in the conversation inside their own internet browser, then uploads those files to the cloud, the Zen Caster cloud, and sinks them together into a downloadable set of files. Can you see the advantage of that kind of recording? It enables you to avoid all of the long distance issues like delays, glitches, warbles, line noise, and anything else that would come from trying to record something over a very long distance. It's only fair at this point to also say that Ringr and clean feed which will be featured next, offer the same kind of technology of a sort, so the quality you get from them should be the same as you get from sin caster. I hope you were able to hear my conversation with Mark, one of the founders and developers behind Cleanfeed, back in episode 69. If not, stop everything you're doing and go listen to it right now you insensitive person who seems to enjoy hurting my feelings. One of the things that Aaron said during a recording about the Cleanfeed interface is that it is very clean. It is fairly unobtrusive, has very little in the way of controls and knobs that you can see, and overall is pretty pleasing to the eye. But there is a downside to that. Some of the controls are a little bit difficult to find. Especially on the host side of things. But like anything, once you've gone through it a few times you get used to where things are and are able to work it into your interview recording workflow with no problems. I've even created a video to show you how to use clean feed which you can find in the resource section below. There is one other service that records interviews with the same kind of technology that Ringr and Zencastr use, but I did not include it in this demo session because it is much more than just a recording solution. It has all kinds of bells and whistles, including editing software online, including audio optimization software, and more than I can even tell you right now. Since it is not really a comparison of apples to oranges for me to include cast in this demo, I didn't. Near the end of our conversation Aaron and I both ranked these 5 platforms for recording an interview according to ease abuse, price, features, and sound quality.